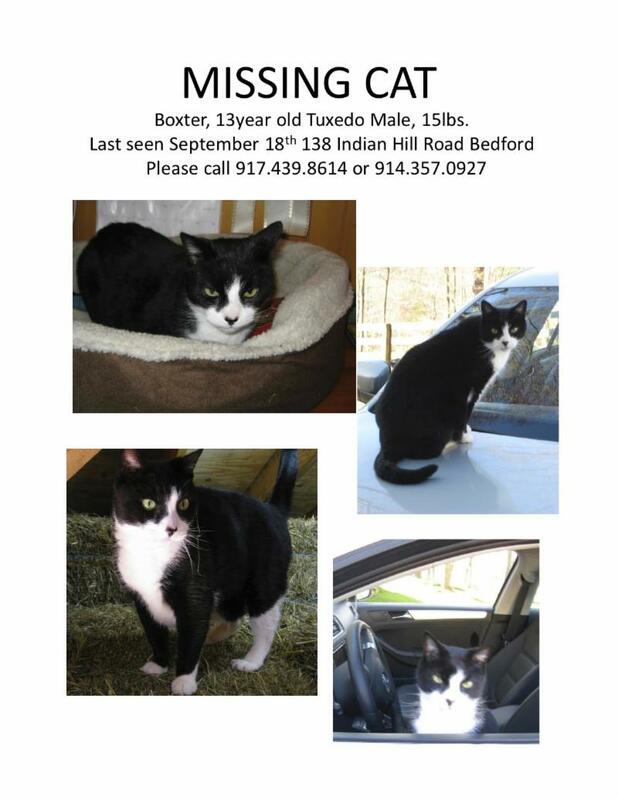 Have you seen Boxter in Bedford, CT, USA? My barn cat, Boxter, has been missing since last Wednesday evening, 9-18. His disappearance is very strange, as he was gone within a window of 1 1/2 hours. He never leaves the property but likes to jump into cars so all I can think of is that he got into a vehicle. I’ve attached a flyer we put together. Previous postMeet Jeffery and His Dear Friend, Emma!